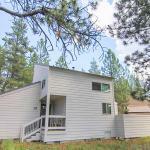 Landrise 10 Home is a holiday home with a barbecue situated in Sunriver in the Oregon Region. The unit is 22 km from Bend. The kitchen comes with a dishwasher and an oven as well as a coffee machine. A TV with satellite channels is featured.